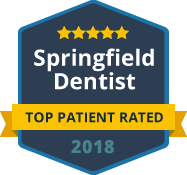 As a leading dental practice in Springfield and Lorton, Virginia, we understand the importance of good dental hygiene and are committed to providing you the best dental care in a fun, pleasant environment. Springfield Lorton Dental Group offers a full array of dental services to address every aspect of your smile. We have preventive and restorative treatments that foster a healthy smile in patients of all ages, including dental cleanings, fillings, extractions, crowns, bonding, dental implants and much more. Our practice also values the importance of making sure you have the confident and beautiful teeth you deserve. Our dentists are qualified to offer custom veneers, teeth whitening and Invisalign® braces for those who want to enhance their smile appearance. Our office strives to provide the best dental care possible. We feel that by having a well educated and compassionate staff we are able to provide gentle quality care in a clean, state-of-the-art office. We understand that the patient’s optimum oral health is our primary goal. I saw Kim for my cleaning now that Karen has retired. She did a great job! Thanks, Kim! With Dr. Rosenman out of town, I saw Dr. Traboulsi. He was excellent. You get consistently excellent care at SLGP no matter who you see. Thanks, guys. Go Fins!! My daughter is 11 - and she was so impressed with her appointment today ... she talked about it non-stop on our drive home! Thank you for treating her so kindly and empowering her to take care of her teeth the way she should! I had a dental emergency prior to an overseas trip. Tara was pleasant and helpful in scheduling an appointment opportunity later the same day. Dr. Ho and Christy were patient and successful in quickly and painlessly correcting the potentially aggravating problem. I was both impressed by the experience and grateful for the treatment. Thank you! Going to the dentist for a toothache is always a stressful situation. I was impressed with how SLD's dentist carefully and calmly conducted my evaluation and then discussed the probable causes for the pain and the treatment plan for addressing it. I was also impressed with how much care was taken to mitigate any pain that might occur during treatment. Good group of dentists, friendly and nice. Admin and hygienists are the same as well, friendly and nice. Been going there for about two years now and after I loved it, transferred my entire family to their practice. I don't like going to the dentist but I've been comfortable and well taken care of every time I've gone. This appointment involved filling cavities. It was a good, easy visit and I left feeling pain free and that my teeth were done well. I'm very glad that I'm a patient there. 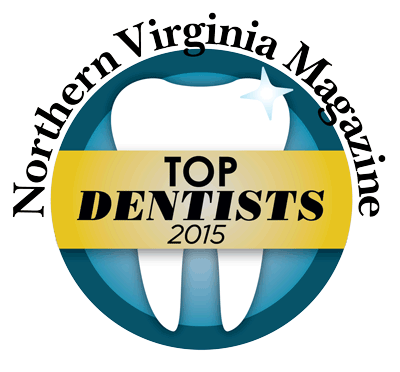 The absolute best dental office in Northern Virginia providing total quality care for their patients! Doctors, Hygienists, and Staff who go the extra mile for their patients, caring and considerate, professional and highly knowledgeable. They make going to the Dentist fun!